Legacy rules based systems churn out hundreds of thousands of alarms (most of which turn out to be legitimate), Atreus is selective in throwing only the Suspects that you would want to review and in most cases confirm as fraud. Alarms are generated without rules. We firmly believe that faster detection and fewer false positives will translate to greater productivity and lower fraud losses. Because there is no cure. Preventing fraudsters from entering into your business is perhaps the best strategy. 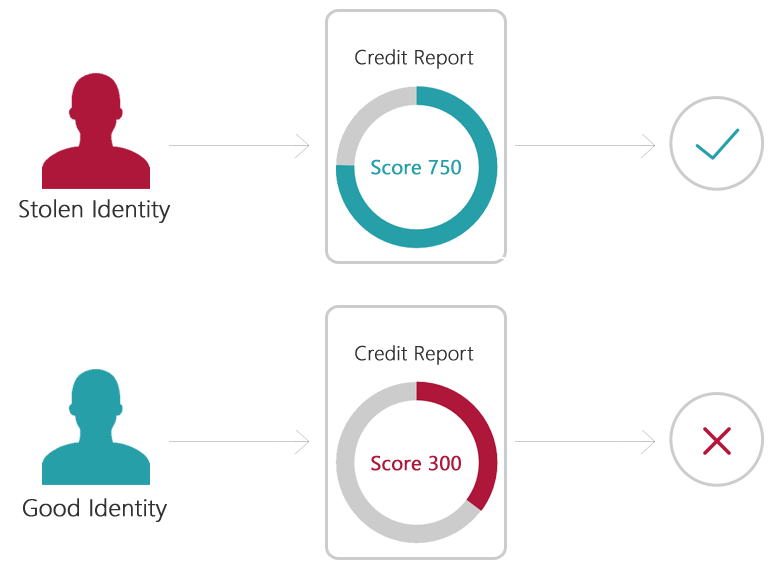 Yet for decades businesses have relied entirely on credit bureaus as first line of defense. It's time to change. Fraud checks before credit checks. Identity theft and first party fraud (no intention to pay) are allowing fraudsters to slip through the credit bureau net far too easily. A comprehensive fraud check is necessary to identify fraudsters before the need to assess for credit worthiness. 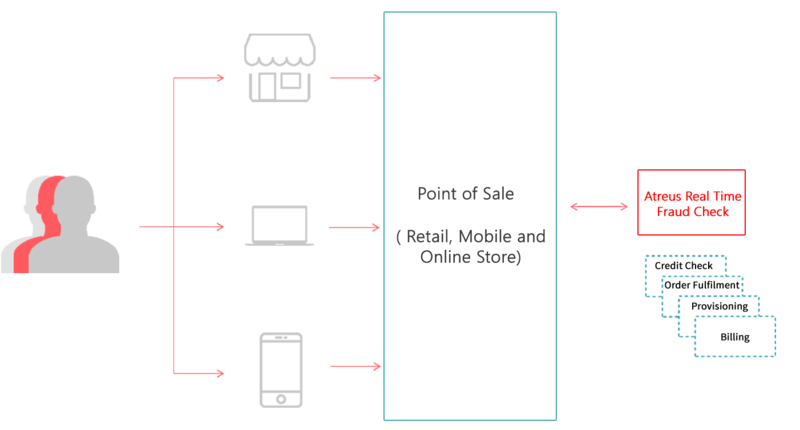 Stop fraud at the point of sale. Fraud check before credit check. Our comprehensive fraud checks starts at the point of Application even before the credit bureau checks. For the simple reason that if we identify the Applicant has no intent to pay up, it is really not necessary to do a credit check. 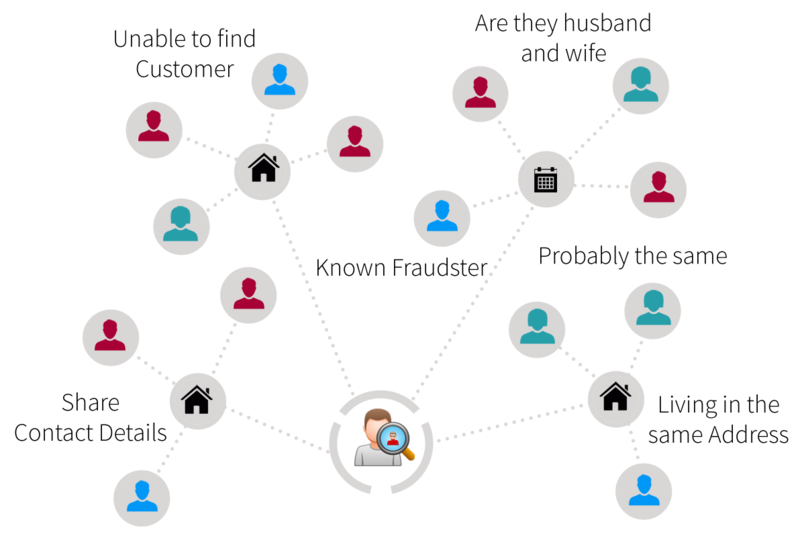 Atreus relies on the concept of a Network. A network is a group of customers linked together based on patterns of interaction. All Fraudsters leave their footprint in their data (from demographics to mobile call patterns to withdrawals to deposits to transactions). By linking information from multiple internal data sources and mapping and understanding the fraudsters extended network, we can identify related organized fraudulent activity. Atreus looks for bad behaviour. Once the customer is on-boarded, the behavior of the customer is profiled throughout the life of the customer to identify potential risky behavior or associations with other fraudulent customers. Proven method. We have introduced some cutting edge fuzzy, phonetic and biometrics image searches that makes intricate connections with your customers even when the data in an application seems out of context. Unlike the credit bureaus which provide data from participating organisations to determine credit worthiness of customers, fraud data can be sourced internally. Most Banks and Telcos underestimate the amount of data that is held in-house that can be unlocked for fraud prevention. Application data, Invoice not paid, written off, bad debts, Confirmed fraudsters, suspects, and people on watch list, Account and Billing data, Transaction data, Contact History and Employee data are all rich data sets that can be put to good use. And we have our own data integrator to source these data straight into Atreus reducing manual effort. Atreus is a lightweight platform. All of the Atreus components can be accessed via our Restful APIs. Not to take away the easy to use user interface that comes with a workflow to handle exceptions and referrals in real time. 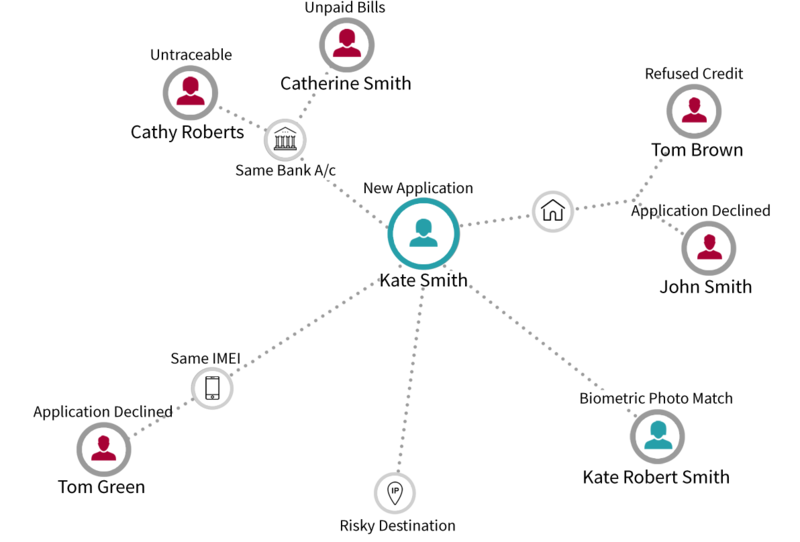 The offline search module can be used for quick analysis and the biometric face links and network models for deep investigations of organised fraud networks.